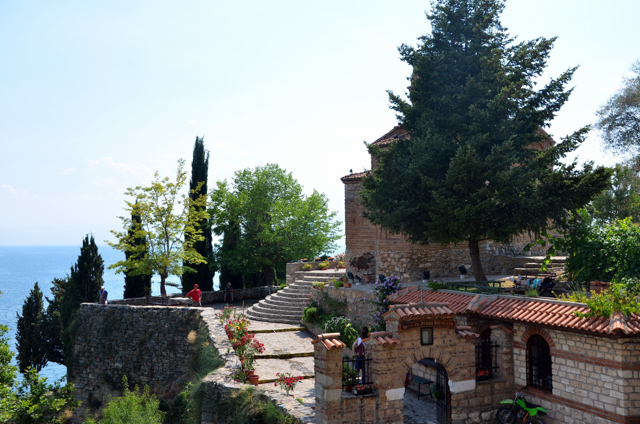 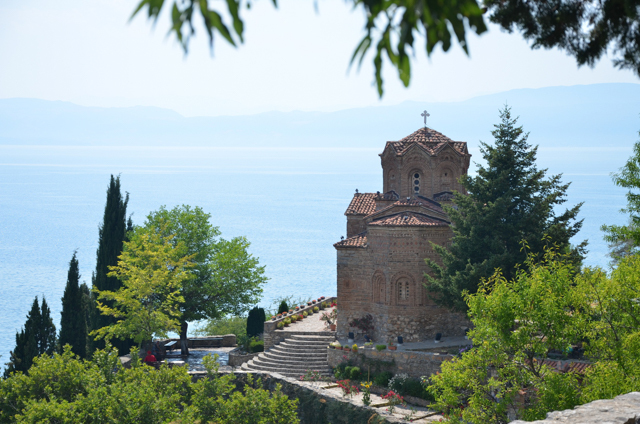 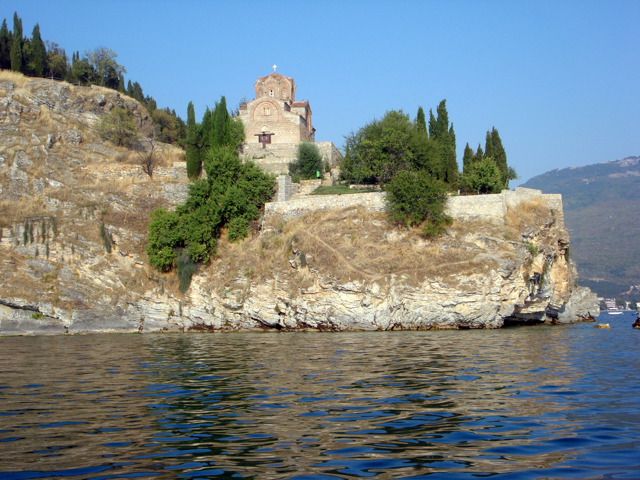 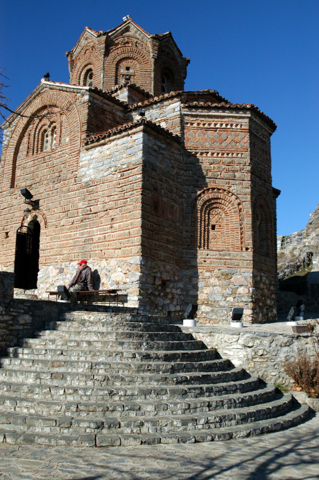 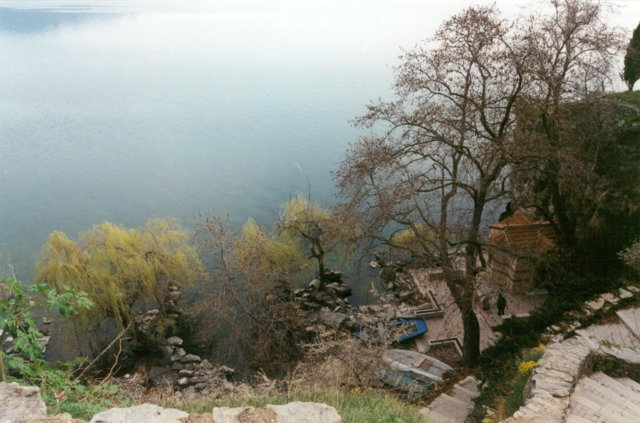 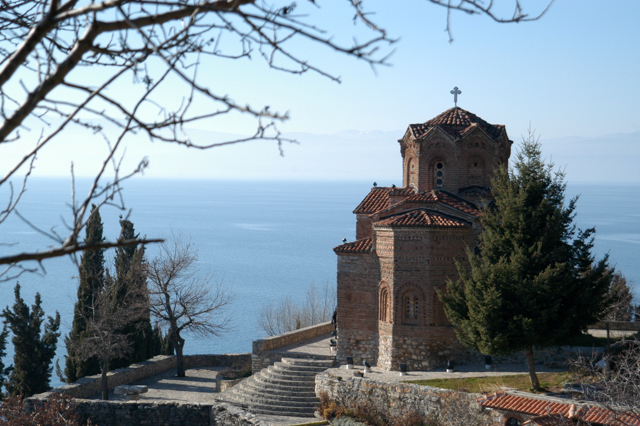 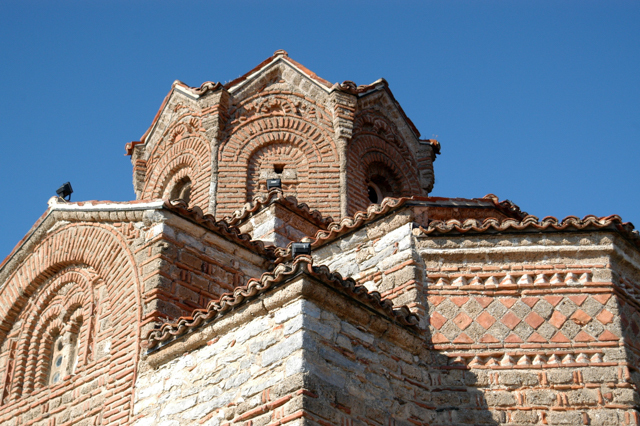 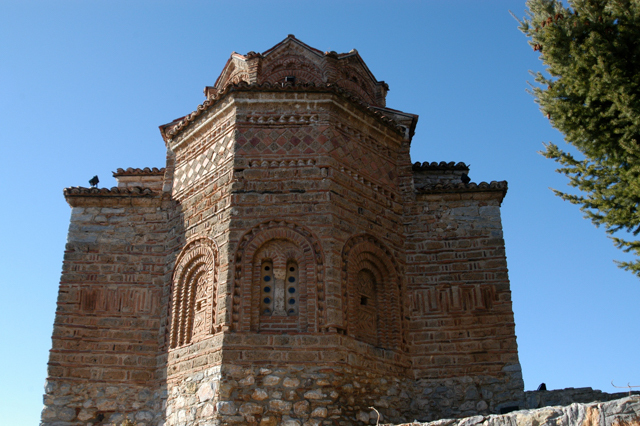 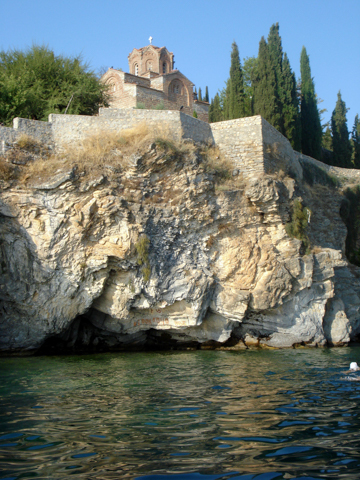 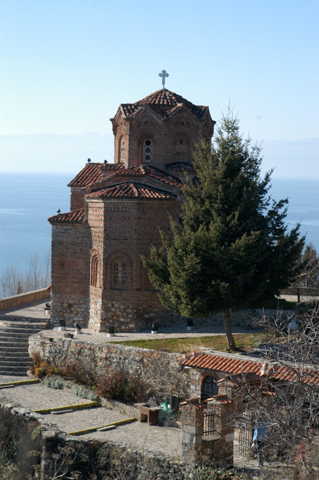 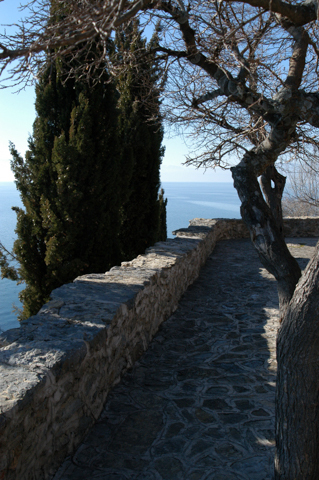 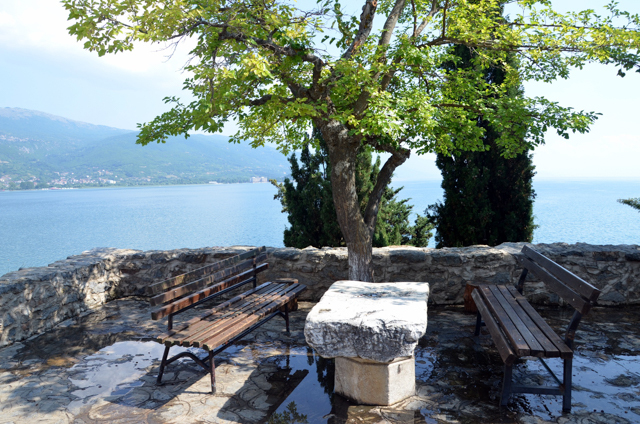 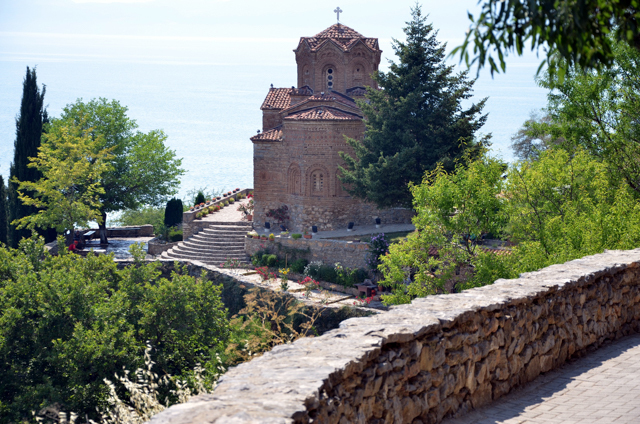 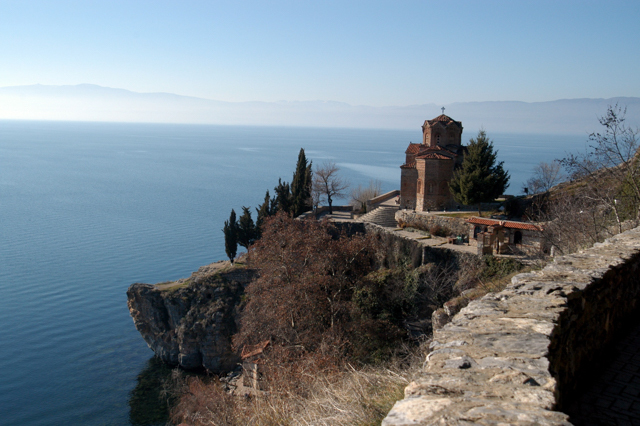 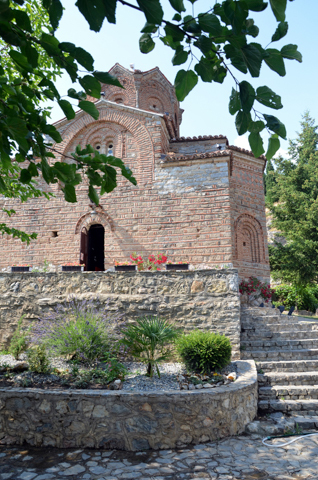 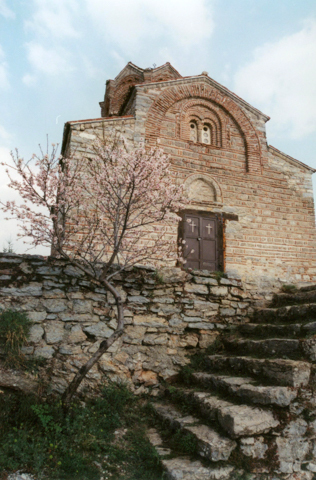 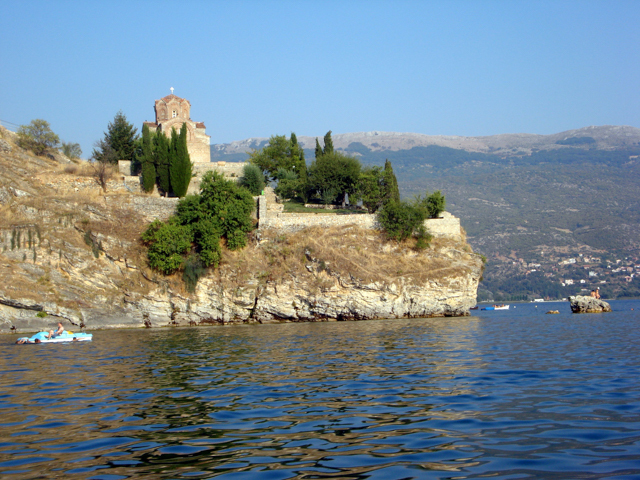 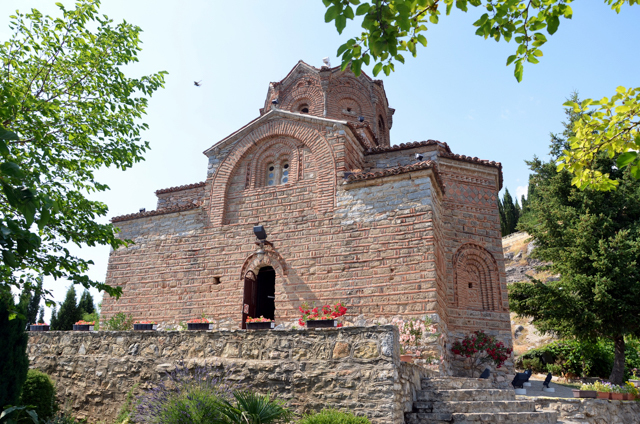 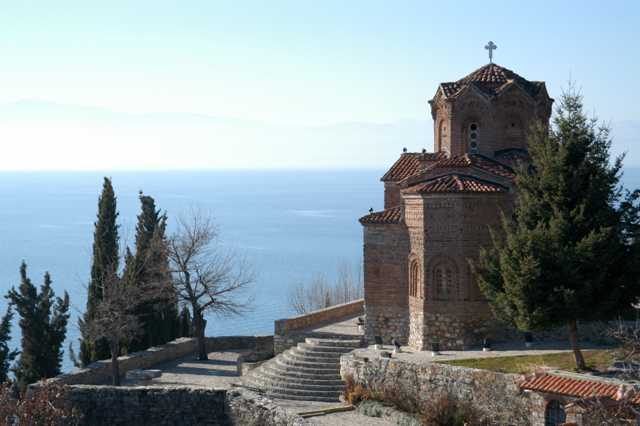 On a peninsular cliff overlooking Lake Ohrid near the fishing village of Kaneo (west of the city Ohrid) is the church dedicated to the Apostle John. 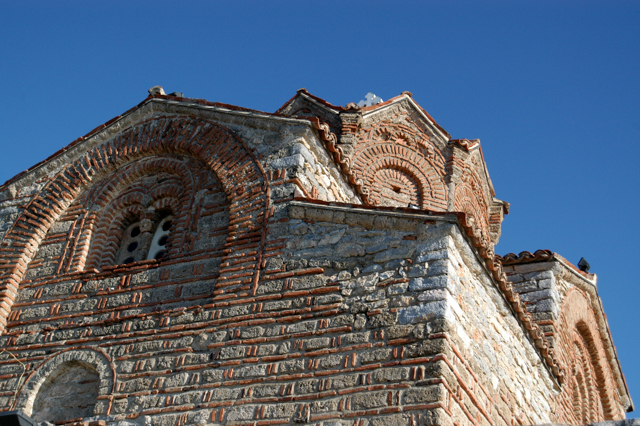 Written records establishing the founding of the church are not available but records do show that the church was built before 1447. 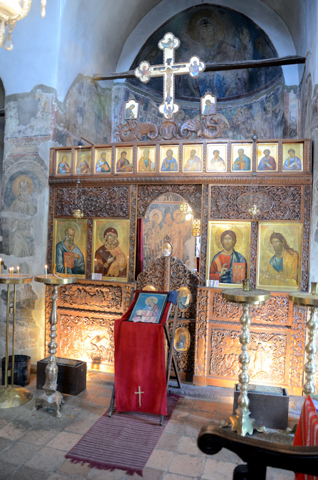 The church is believed to have been built in the late 13th century and despite the church’s abandonment in the 17-19th Centuries, some frescoes still exist and are now preserved. 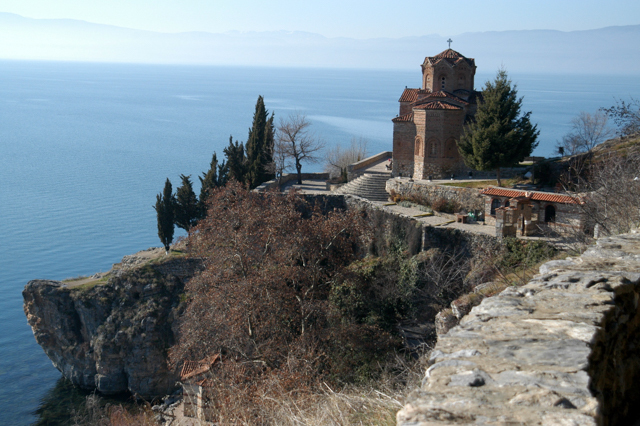 Great views of Lake Ohrid can be found here. 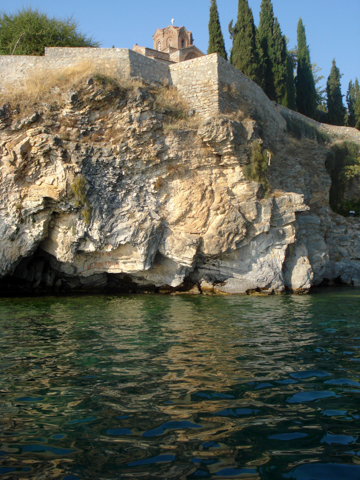 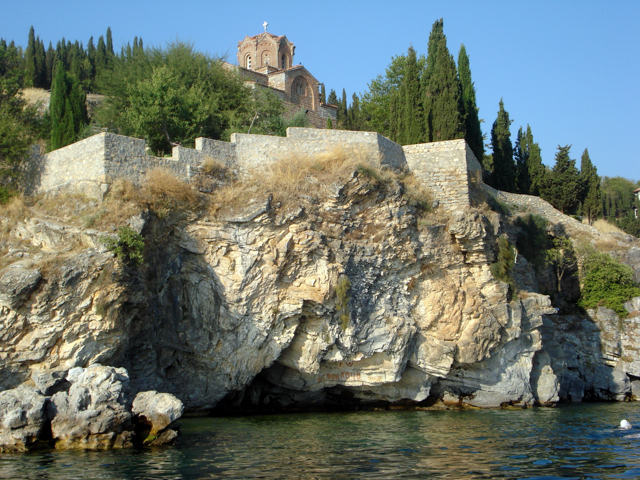 Below Sv Jovan Kaneo by the shore is a smaller church dedicated to Church of the Birth of St. Mary – Mala Bogorodica.